Russia suggested adding a clause that would call cyberattacks on critical infrastructure – power grids, water pumps, banks and hospitals – unacceptable, three Russian and US officials told the Kommersant newspaper. Sources said Moscow had proposed "joint measures to prevent the use of cyberspace to destabilize internal political processes, including elections." The United States initially agreed to sign the joint declaration but then rowed back on it. 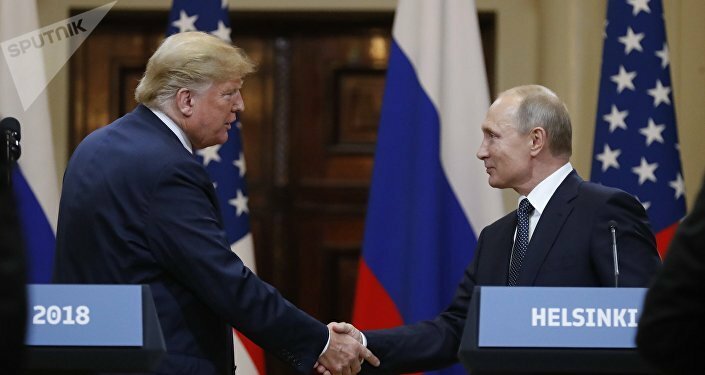 Russian President Vladimir Putin and his US counterpart, Donald Trump, last month held their first summit in Helsinki, Finland. The leaders emerged from the one-on-one meeting more than two hours later to tell reporters they were both interested in improving bilateral ties.